It’s not narcissistic: staying on top of your personal brand is crucial to your success as a blogger. 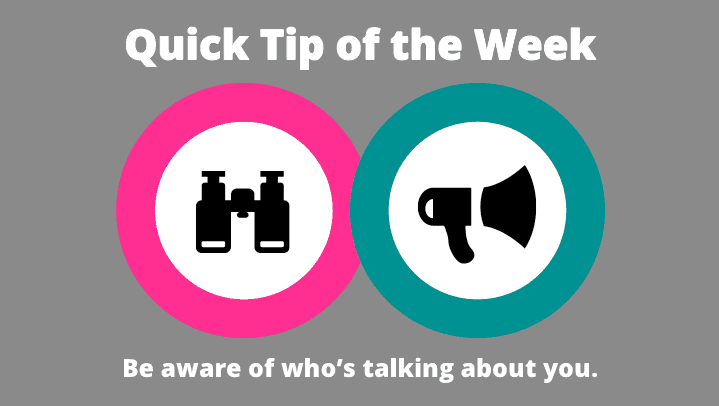 Knowing what people are saying about you and how they are linking to your site could be the difference between a social media crisis and a small conflict, or an awesome business opportunity and silence from a brand you’re trying to work with. To try to stay on top of all the incoming links to your blog, you may think that Google is best—after all, you can sign up for alerts to email you whenever you are mentioned online. Not so fast…Google Alerts doesn’t always catch everything. To stay on top of your online brand, you need to have something else: Shareaholic Analytics. 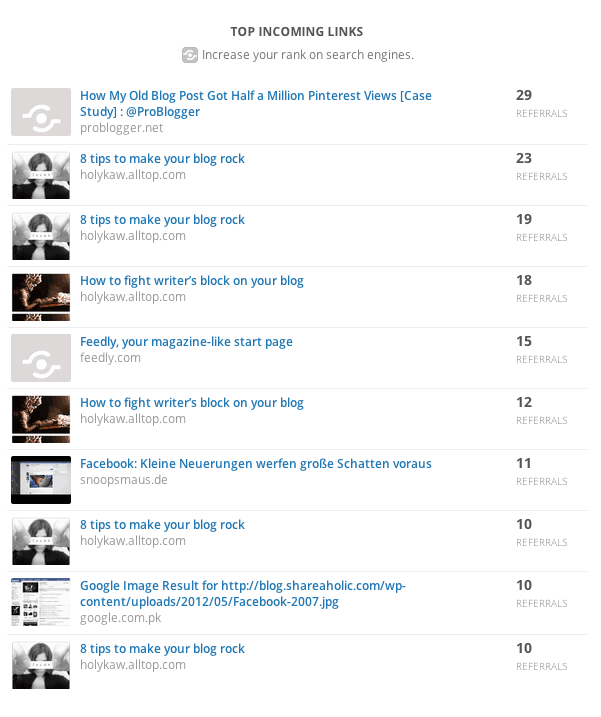 In our Top Incoming Links Report, you can see who is linking to your website or blog over the past day, week or month. Using this report actually saved us before—we were featured on the Alltop Blog last March, but never received a Google Alert about it, even though our name was clearly stated in the post. Fortunately, we checked Shareaholic Analytics and saw we were getting traffic from the Alltop Blog. Once you see that people are linking to your blog, it’s up to you to take action! Whether you’re looking to grow your blog network or leave a nice comment on their blog, our Top Incoming Links Report will help you keep track of your blog’s brand online. Like “Quick Tips” like this? Stay tuned for next week’s tip. Better yet, subscribe below so you never miss a post from us. p.s. Interested in joining the Shareaholic team? See our available gigs.